Everyone who knows my mom knows that she’s perpetually late because she’s incapable of going from point A to Z. Instead, she stops at points B through Y in between. Even if her final destination is point B, she’ll still visit points C-Z if they’re mildly interesting before looping back to B. Sights that fall into this “mildly interesting” category are everything from natural wonders and man-made landmarks to bookstores and yard sales. While this has caused her 4 kids undue grief over the years, it has more often led to amazing adventures and spontaneous discoveries with “our crazy mom.” Everyone should have a mom as much fun as she is. One of my favorite memories of her is from a week-long trip to Glacier National Park in Montana a few years back. Driving through the mountains well into the night, I looked over and realized that even with the heat cranked, her teeth were chattering and her lips were actually tinged blue, yet she insisted we keep the top down on the convertible so she could see the beautiful stars. Those of you who know me know that I inherited this inability to travel with any sort of structure from my mom, along with being easily sidetracked and procrastinating like there are a million tomorrows. 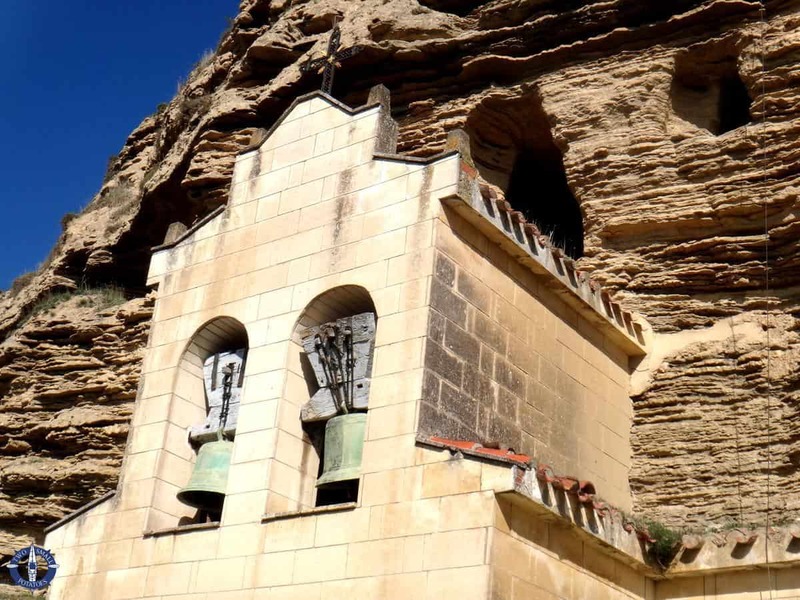 The Ermita Rupestre de Santa Maria is a cave hermitage set into a hillside in Tosantos, Spain. 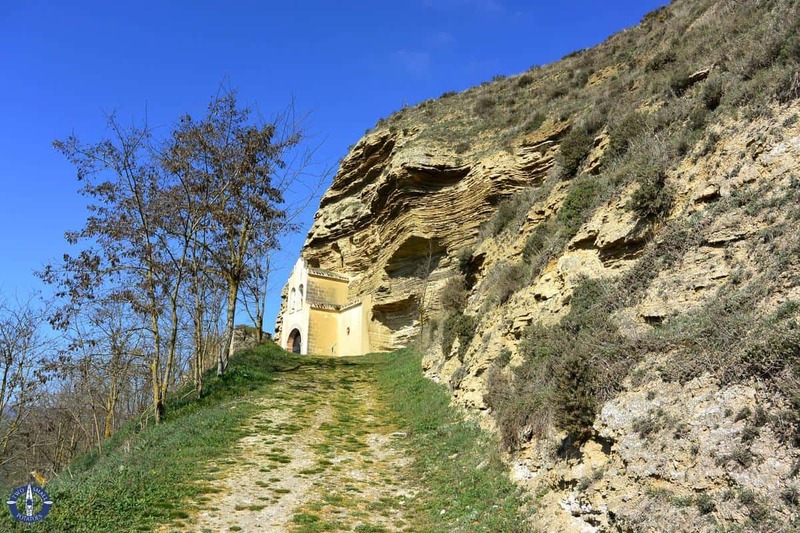 We’d stumbled across the Ermita Rupestre de Santa María de la Peña, a cave hermitage included among the many significant religious sites for pilgrims traveling the Camino de Santiago. Also commonly referred to as St. James’s Way or simply the Road to Santiago, this pilgrimage became an important Christian tradition during the Middle Ages, though one of the main roads existed as a Roman trade route even before that. 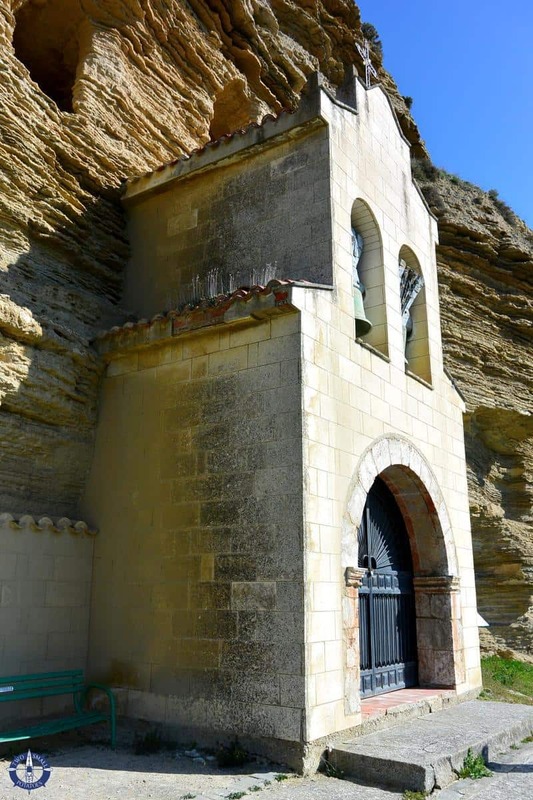 The Cave Hermitage of Tosantos is one of many popular sites along Spain’s Camino de Santiago. The year 1691 is etched over the iron doorway. Traditionally, pilgrims from across Europe began the journey from their own doorstep, converging to create a handful of main routes to one of two final destinations which remain in use to this day. For most travelers, the journey ends at the Cathedral of Santiago de Compostela in Galicia, a region in the northwestern corner of Spain. 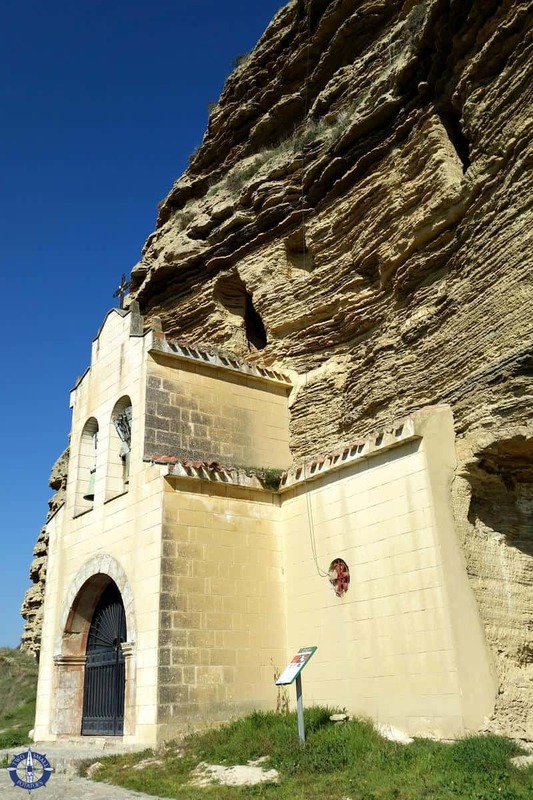 Many believe that this is the final resting place of the remains of Saint James the Great, one of Jesus’s twelve apostles. Other travelers hike several more days all the way to Cape Finisterre on the coast of Spain. At one time, this cape was believed to be the most westernmost point in Europe, hence the name, which in Latin means “end of the world.” It’s now known that this point is actually in Portugal, but pilgrims hold to tradition. Grass grows from the roof of the old building, washed in the warm Spanish sun. 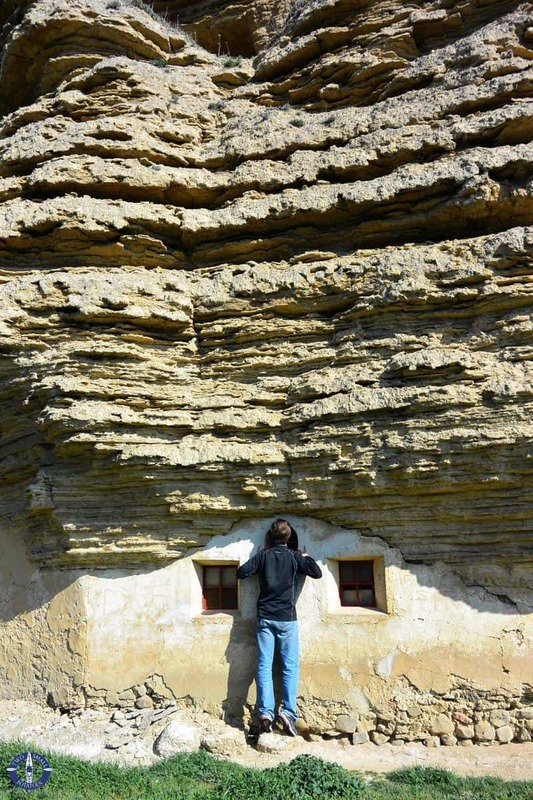 Travis peaks in the window of the Cave Hermitage of Tosantos. 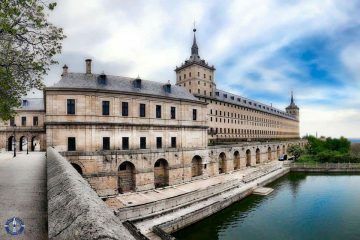 An increasingly popular trek, nearly a quarter million pilgrims now annually follow any one of the routes to Santiago, some hiking just the minimum 100 kilometers necessary to earn the “certificate” for having completed the trail. Very commercialized, it’s not necessary to carry camping gear, food, or even water along the hike since amenities are regularly available at hostels, markets, and restaurants along the way. Indeed, as we drove through Spain, we saw a steady stream of hikers following wide, flat, and often paved trails visible from the highway. Though the hike doesn’t appeal to Travis in the least, I have no doubt I would enjoy it for the social aspect and scenery, albeit minus the kind of solitude we typically prefer when we’re hiking. A sleepy kitty basks in the sun in the sleepy little town of Tosantos, Spain. With peaceful pastoral landscapes and countless hidden gems like this ermita rupestre liberally distributed along the Camino de Santiago’s many routes, the trek’s appeal is obvious. It’s just unlikely that we would ever make it from point A to point Z in this lifetime, considering all the natural wonders and man-made landmarks in between. The yellow pins mark our travel for day three, from the Castillo de Monjardín in Spain to our friend’s home in Madrid. The blue line roughly follows our entire 10-day travel path. I noticed in your photos that you didn’t get in. 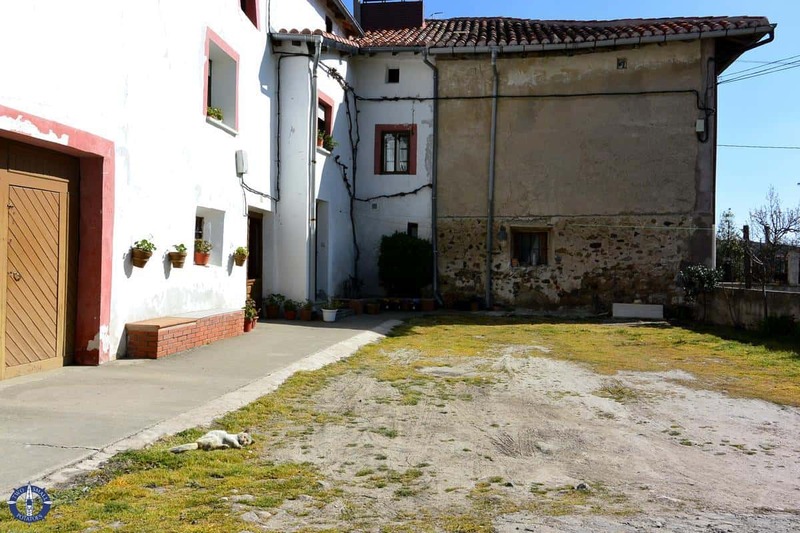 When I walked my first Camino in 2007, I stayed at the albergue in Tosantos. A lady in the town had the key to the Ermita and offered to show it to us. What a treat! I wanted to post a photo, but it won’t let me… sorry! It’s true, Deirdre. We didn’t even know at the time that it was possible to see the interior. What a special experience that you were able to see the interior! I’d love to see a photo, but I must apologize that I’m currently using a comment plugin that doesn’t allow media. Well I’m glad he takes after Carl on this one! If I was better at math or philosophy, I’d come up with a clever analogy to show that when a train leaves station A for station B but deviates from course, making station B point C, did point C ever really exist? Yeah, nobody really uses math anyway.